Al Said hoses down flames behind his home on Country Club Drive. 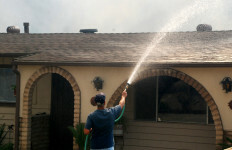 San Marcos firefighters put out remaining flames behind Al Said's house. 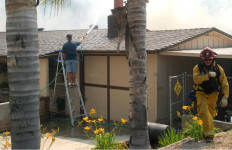 San Marcos firefighters put out blaze behind Al Said's house. 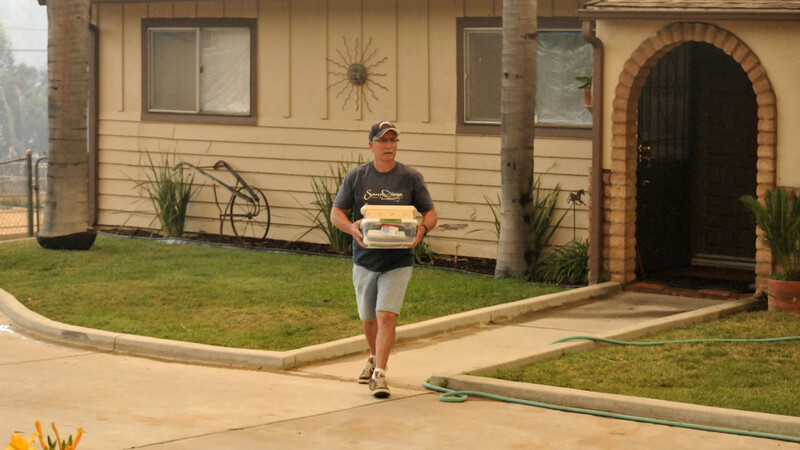 Al Said carries photos and important papers to his car for possible evacuation. 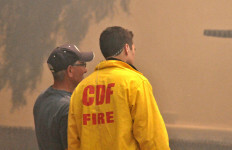 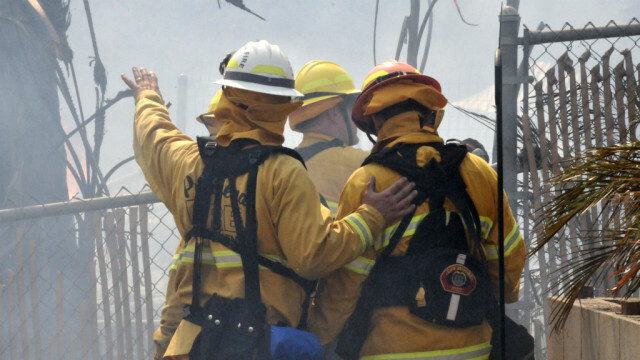 Firefighter talks to Al Said as the home behind his burns. 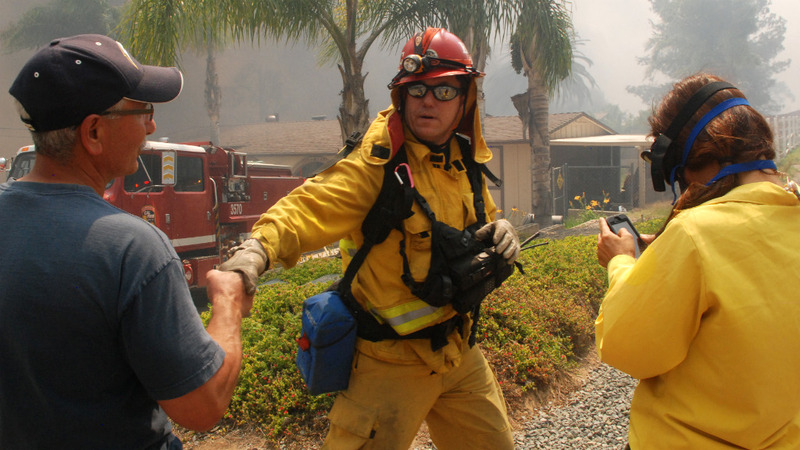 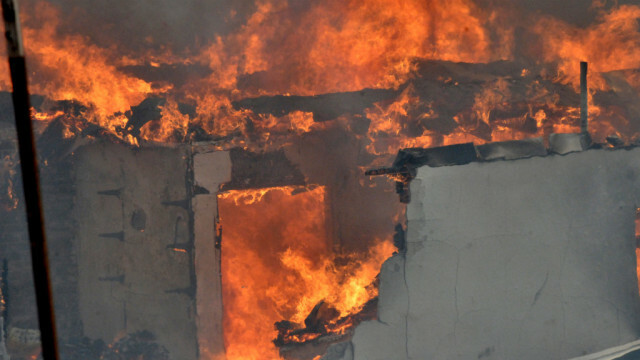 Flames engulf neighbor's back yard in rural western Escondido. 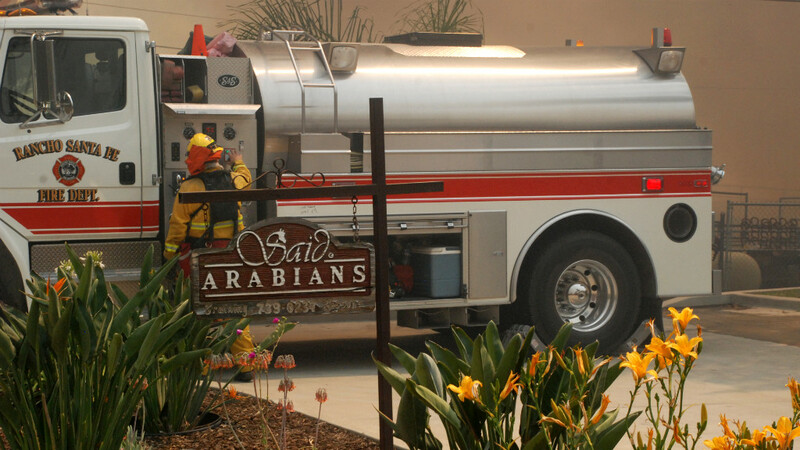 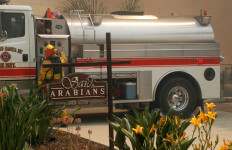 Two fire engines were parked in Al Said's driveway. 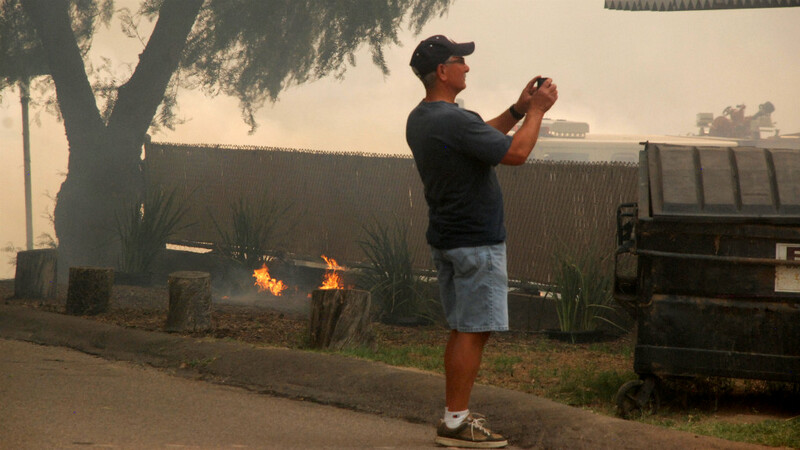 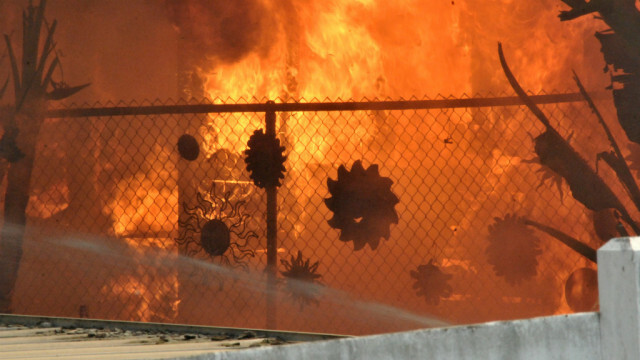 Al Said photographs the blaze in his neighbor's yard as flames spread near his fence. 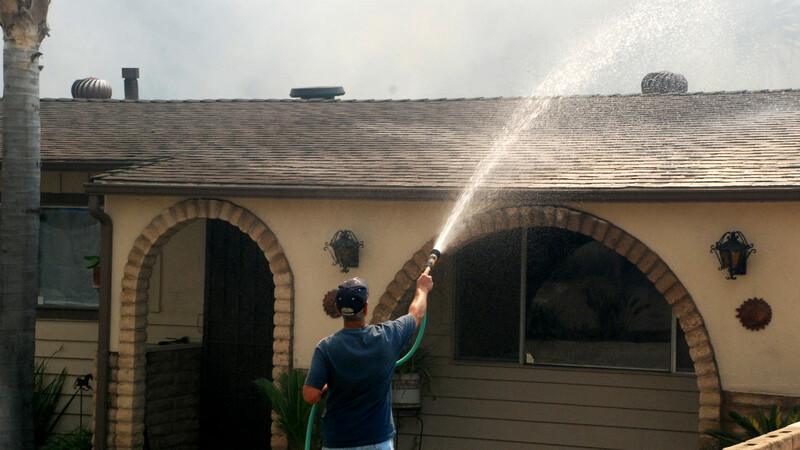 Al Said waters down his roof in effort to protect his house. Al Said climbs ladder to water down his roof as firefighters plot how to save home. Al Said uses a garden hose to help put out flames threatening his home. 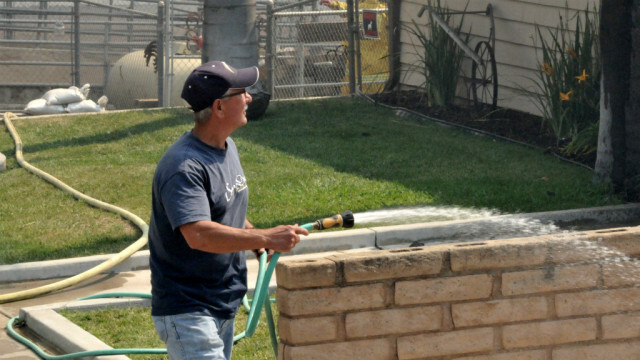 Al Said uses garden hose to help protect his home. 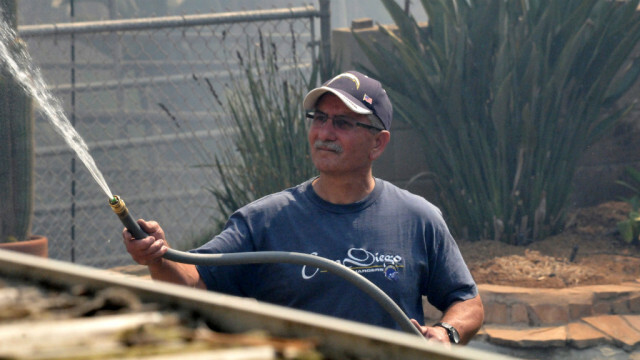 Al Said waits nervously as strong winds push blaze into his neighbor's yard. 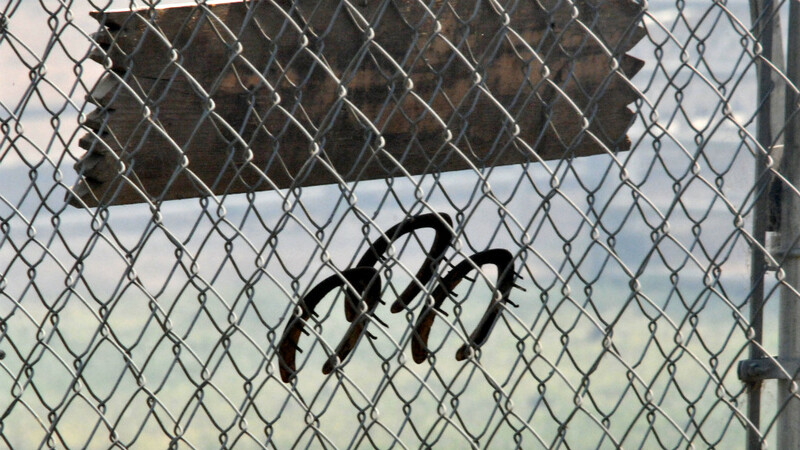 Horseshoes hung upside down on a fence at Al Said’s Arabian horse center in rural Escondido, but he hadn’t run out of luck Thursday. 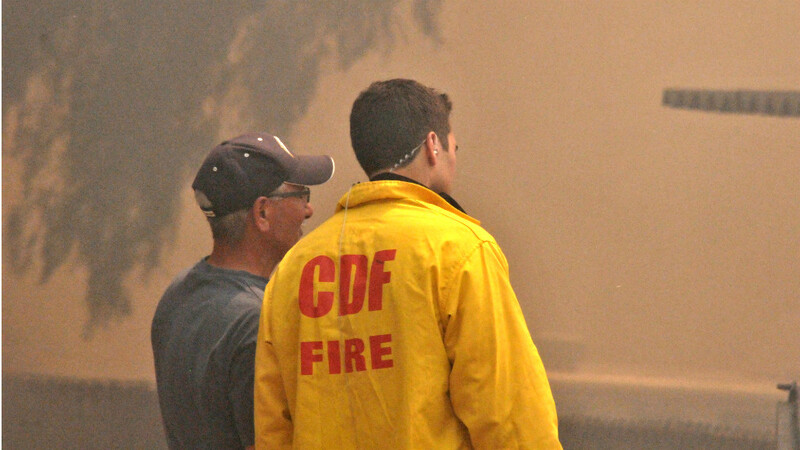 Said nervously paced in front of his home since 1988 and made phone calls as towering flames consumed his neighbor’s house behind his. He had evacuated his horses the night before. 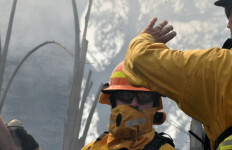 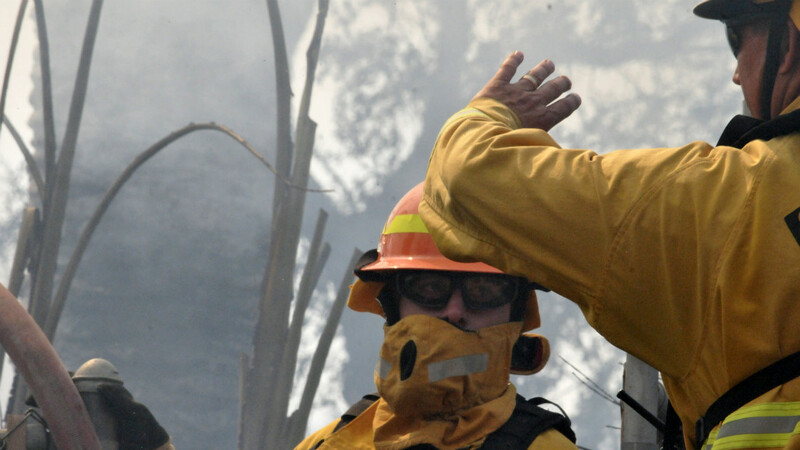 It was the second day of the Cocos wildfire that spread erratically in the shifting winds in the hills south of state Route 78. 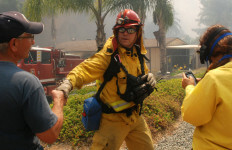 A fireman shook Said’s hand and told him crew would try to save his home. About 45 minutes earlier, Said placed photos, important documents and momentoes into the trunk of his car as fire engines convoyed down Country Club Drive, the winds pushing flames toward his house. 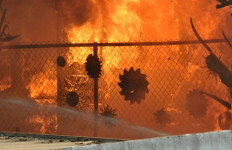 Now two fire engines were parked in his driveway as firefighters kept the flames from advancing. 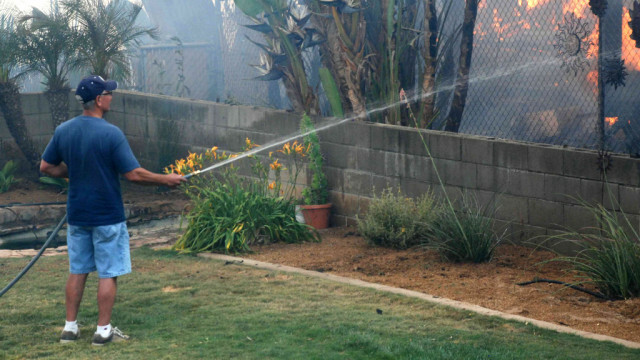 Said grabbed a garden hose and began watering his front yard, his roof and later his back yard as the blaze subsided. 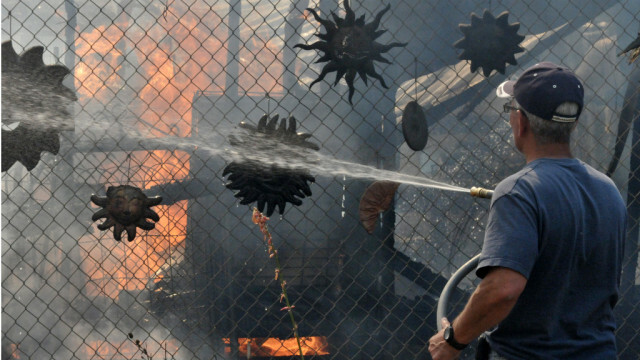 Said continued to use his hose on the neighboring blaze as firefighters moved on to the next hot spot down the road. 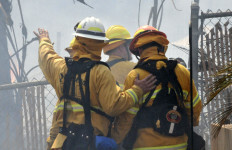 While firefighters told Said the blaze would burn itself out, he said he wasn’t sure he was out of the woods yet. 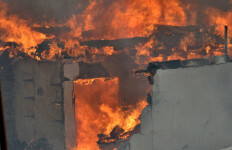 Minutes later, San Marcos firemen pulled up and doused flames. 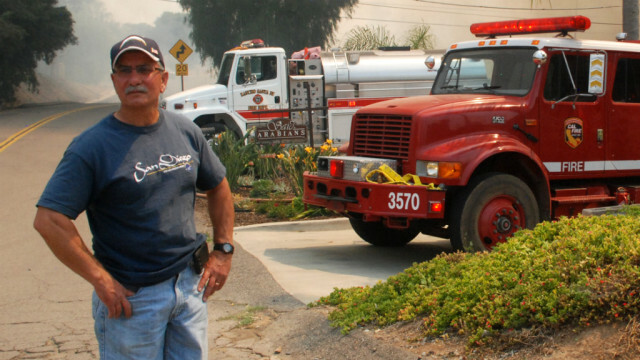 He hadn’t been sure he was going to stay with his house, after sheriff’s deputies announced mandatory evacuations, but he decided to try to help fire crews. 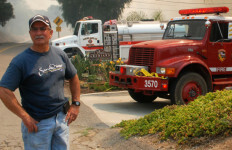 His backyard neighbor had left Wednesday, another neighbor said. 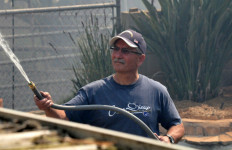 Al Said waits nervously as strong winds push blaze into his neighbor’s yard. 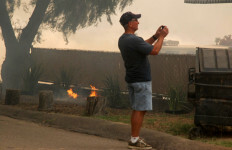 Al Said photographs the blaze in his neighbor’s yard as flames spread near his fence. Two fire engines were parked in Al Said’s driveway. 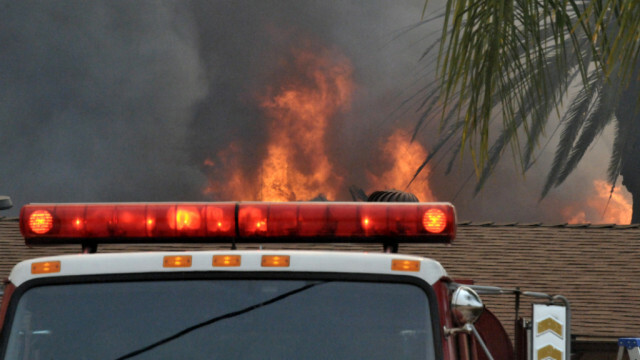 Flames engulf neighbor’s back yard in rural western Escondido. 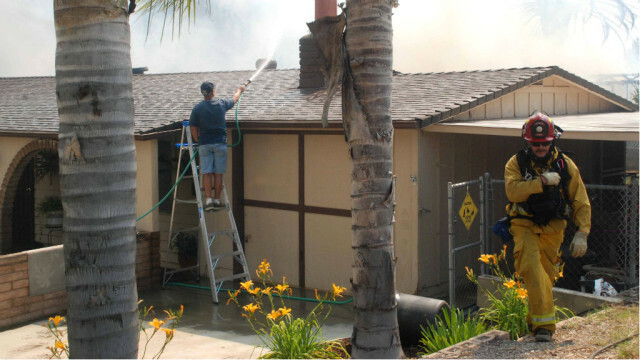 San Marcos firefighters put out blaze behind Al Said’s house. San Marcos firefighters put out remaining flames behind Al Said’s house.